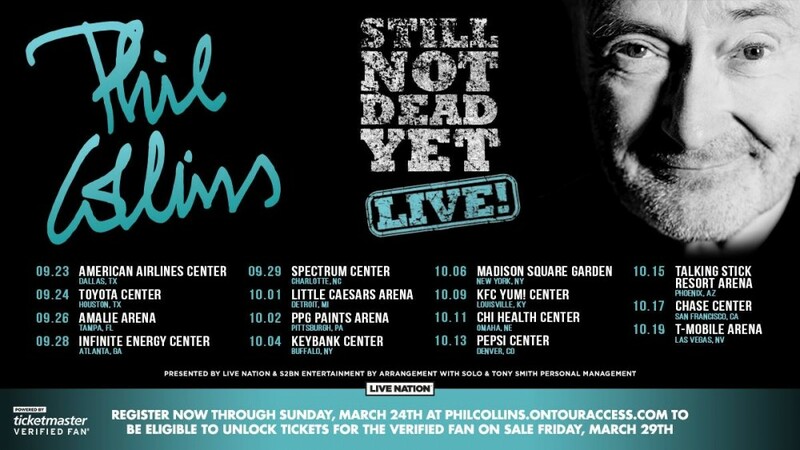 Phil Collins is still not dead yet! The 68-year-old and his band are currently on tour in Europe, and today they announced they will be touring North America in the fall of 2019. The newly added shows are scheduled to begin in September, with tickets going on sale next week. In a 2015 interview with Rolling Stone, the former singer and drummer of Genesis announced he was un-retiring to play concerts in the UK and Europe. Since then, he has ramped up his touring from under 10 shows in 2016 to roughly 25-30 per year in 2017-2018 to now over 40 this year. The 'Not Dead Yet' band has a robust 15+ members including Phil's son Nicholas on drums and piano, Leland Sklar on bass, Daryl Stuermer and Ronnie Caryl on guitars, Brad Cole on keyboards, Luis Conte and Richie Garcia on percussion, a four-piece horn section (Harry Kim, Dan Fornero, George Shelby, Luis Bonilla), and four backing vocalists (Arnold McCuller, Amy Keys, Bridgette Bryant, Lamont van Hook). When do Phil Collins 2019 tickets go on sale and what is the presale code? Tickets for his previously announced shows are now on sale. For the new dates, the general public on-sale begins as early as March 30. Registration for Citi Verified Fan is currently open and will close on March 24. Presales for Citi Verified Fan will begin on March 26 at 10 am local time. Verified Fan Onsale presales will follow. For the Citi presale, you can use the promo passcode 412800, but you will need a Citi card to complete your purchase. Keep in mind, each date is different and details are subject to change. Click through the individual concert links for more information about the show you're interested in. Stay tuned, we will be updating this page if additional concerts or information becomes available. If you haven't done so already, pick up Phil's 2016 memoir Not Dead Yet on Amazon. 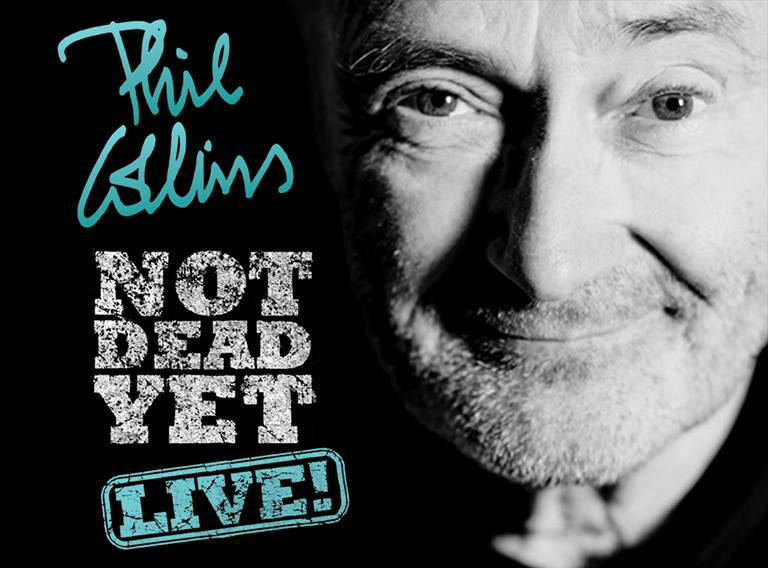 We recommend following Phil Collins on social media and signing up for his free email newsletter, in addition to checking your local venue’s social media and email subscription service, to get the most up-to-date information.